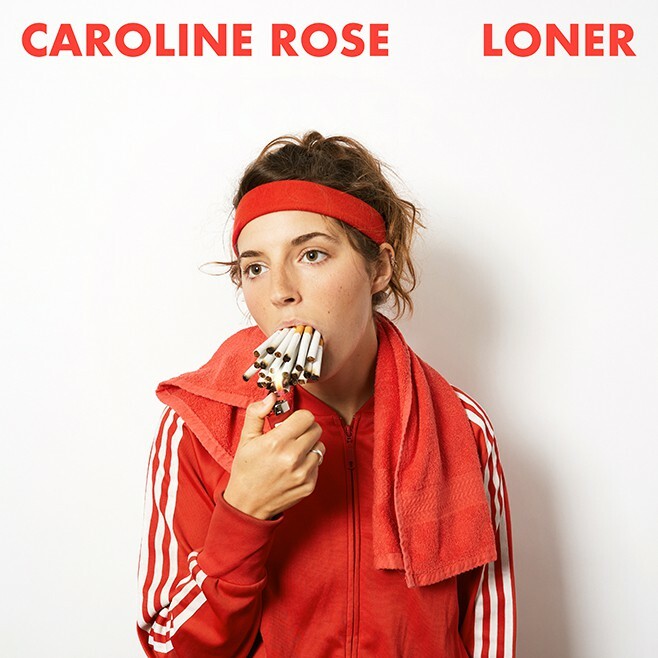 New York based (presumably soon to be Philly) musician Caroline Rose recently put out her second album Loner via New West Records. The album itself is five years in the making and those familiar with her first project may be surprised with her departure from Americana/Alt Country sound to one of soulful organ and synth backed pop songs. One thing that Rose hasn’t ditched, however, is her affinity for the color red. Loner deals with some heavy issues including money, infidelity, and unplanned pregnancies but you’d never guess that from the guitar riffs and pulsating organ. The album opens up with the track “More Of The Same,” which is definitely where we see her sarcasm shine through, same with the track “Bikini” – a shot at the old school record producers and AR guys who objectify female artists. The song “Jeanie Becomes A Mom” is about an unwanted pregnancy but is addictive to sing along to with lyrics like ‘But the world don’t stop/ Even when you’re living in colour/No, the world don’t stop/Time is only gonna pass you by/Now you’re in real life’. It’s exciting to see Rose evolve sonically and her soulful, lusty voice carries so well.The song “Getting To Me” is reminiscent of what Rose started off creating featuring strings but even within this callback it builds into a jittery pop song. I would even say that Rose is venturing into the world of soul – very danceable but in an old school way. This record is an amalgamation of many things. It shows how Rose has evolved and put her nose to the grindstone. She’s very obviously exposed herself to new instruments and techniques. “To Die Today” has a bit of a trip hop vibe with a simultaneously dank guitar. This new adventure is one worth following. Caroline Rose is also on a massive tour so be sure to catch her. Her live shows have been a raucous good time in support of this album. She’ll be gracing Portland, OR with her presence come June 13th.